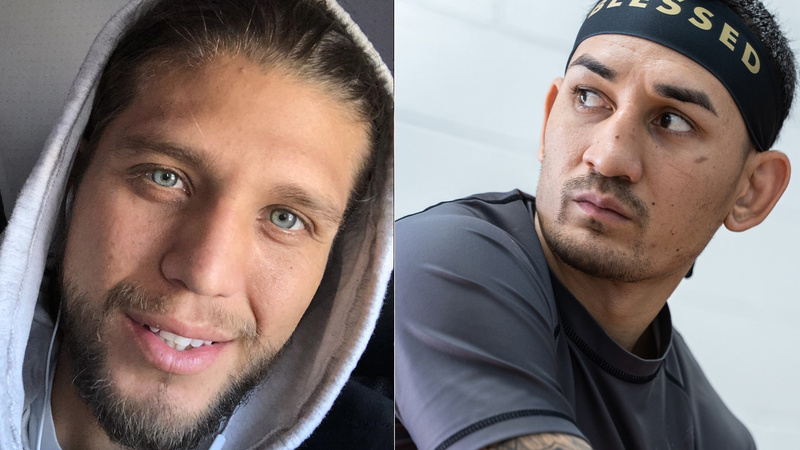 Brian Ortega Confused By Holloway’s Mysterious Illness: ‘What The F-ck Do You Mean You Don’t know what It is? The year 2018 wasn’t started on a good note for UFC featherweight champion Max Holloway. ‘Blessed’ entered into that year with two consecutive victories over divisional GOAT Jose Aldo, securing his status as undisputed champion in the 145-pound division. With uncertainty about what’s going on with Holloway, many have feared the worst for his fighting future. At the time, UFC president Dana White also said ‘Blessed’ would be out of the scene for a long time. At one occasion UFC head honcho said he doesn’t know the exact nature of health issue but Holloway is improving. Ortega discussed how Holloway made it close to all the fights he’s pulled out from this year. Especially his last weight cut that made everyone feared about his future. Ortega still concerned what if Holloway withdraws again due to health concerns. Brian Ortega says he’s looking forward to winning his first UFC title, no matter who stands across him on fight night as long as title is on the line. Brazilian top contender Renato Moicano is playing a role of an alternative fighter in case Holloway or Ortega fail to make to fight night. Ortega says UFC doesn’t let Holloway fight if the health scares are serious. Moreover, ‘T City’ also doesn’t want anything bad to happen to featherweight champion inside the Octagon. “They did all the tests, right?” Ortega said “They evaluated, they made sure he was healthy. The UFC, being the name that they are, I don’t think they’re gonna let someone go in there if they’re not in the right state. What does kind of seem a little bit off is the the fact that they still can’t seem to figure out what’s going on. That’s kind of where it’s like, well are you guys being professional with this? Or do you guys really want to push this fight? I don’t know. Holloway (19-3) is currently riding a 12-fight winning streak in the UFC, while Ortega 27, is 6-0 with 1 NC in the UFC Octagon.